Like in many other states in the US, you can’t drive legally without auto insurance in Ohio. In the Buckeye State, drivers are required to meet the state’s financial responsibility requirements to operate their motor vehicles on the road. The Ohio Financial Responsibility Law is designed to ensure that every driver takes full responsibility for the loss if he/she causes an accident. Driving without insurance is a traffic violation in Ohio. If you are caught driving uninsured, your driver’s license will be suspended. In that case, you will be required to file for an SR22 form to reinstate your driving privileges. The SR22 can only be filed with the Ohio Bureau of Motor Vehicles (BMV) by the insurance company. 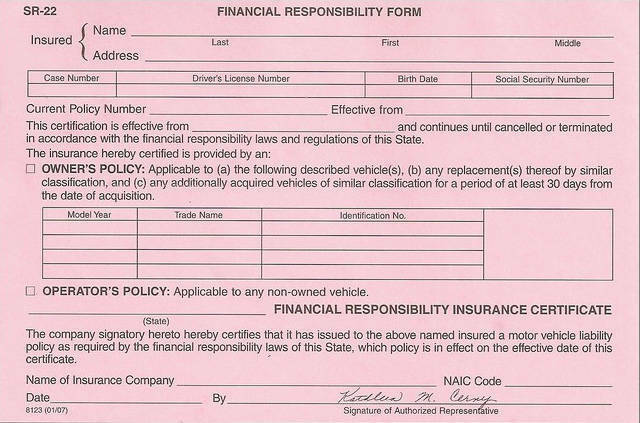 Before filing for an SR22 form, the driver must purchase a financial responsibility bond or auto insurance that meets the minimum auto insurance requirements of the state. You will hold on to the SR22 certificate until your driver’s license is reinstated. Keep reading to find out everything you need to know about SR22 insurance in Ohio. You’ve probably heard someone talking about filing an SR22 or SR22 insurance. A lot of people never hear about SR22 until they need it. So, what is an SR22 and do you need it? An SR22 certificate is a document confirming that you’ve met the state’s financial responsibility requirement. It shows that you have the minimum coverage required in Ohio, and in the event of an accident, there is an insurance company that will cover the damage and medical bills. If your license is suspended after committing a traffic violation, you need to obtain an SR22 certificate. Simply put, the SR22 is a reinstatement document filed by your insurer on your behalf to the Ohio BMV. The term ‘SR22 insurance’ is actually a misnomer because SR22 is not an insurance but just proof of it. The SR22 is a certificate of financial responsibility and not the actual insurance. In most cases, SR22 certificate only provides minimum liability insurance, meaning that the insurance provider will only cover limited loss or damage in the event of an accident. If you are the driver holding an SR22 certificate, the coverage will not pay for damages to your car. An SR22 certificate must be in the name of the driver. How Many Types of SR22 Certificates Are Available in Ohio? There are three types of SR22 certificates in Ohio. We have the SR22 owner certificate which provides coverage for a driver operating a vehicle he/she owns, a non-owner certificate that provides coverage for drivers operating vehicles they don’t own, and an owner-operator certificate that provides coverage for a driver to operate any vehicle, whether they own it or not – it’s a combination of the other two. So, which type of SR22 insurance is right for you? Let’s take a closer look at the three options. Also known as named operator policy, a non-owner SR-22 insurance policy is tied to the driver instead of the vehicle. A non-owner SR22 certificate is what you need to file for if you don’t own a car but you need to drive legally in Ohio. It satisfies the state’s financial responsibility requirements and provides liability coverage when you are driving someone else’s car. You should purchase the SR22 owner insurance if you own the car or at least drive it on a regular basis. Consider your driving needs and make sure that you file for the right type of SR22 certificate. What’s an SR22 Bond Ohio? In Ohio, drivers can present proof of insurance in the form of a financial responsibility (FR) bond instead of an auto insurance policy. Similarly, you can attach an SR22 bond onto an FR bond as an alternative to insurance. Purchasing an SR22 bond is the cheapest way to meet an SR22 requirement. You can purchase an SR22 bond from most insurance providers in Ohio. Buying an SR22 bond is like buying a non-owner auto insurance policy that meets Ohio’s auto insurance requirements. The key difference is that an FR bond does not offer you alternatives or additions to state minimums. Obtaining an SR22 certificate, commonly known as SR22 insurance is a simple way for drivers to prove financial responsibility and restore their licenses after suspension. A standard SR22 insurance policy must meet the minimum auto insurance requirements in Ohio to facilitate coverage for bodily injury and property damage in the event of an accident that you caused. An SR22 certificate only provides liability coverage, meaning that your car or personal property are not covered by the policy. If the damage exceeds the minimum liability limits, you have to cover the excess costs out of pocket. When Would I Need SR22 Insurance? 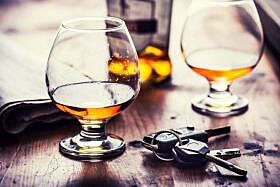 You are arrested and found guilty of a major traffic violation such as a DUI or DWI. If you have accumulated at least 12 points on your driving record in the past two years, your driver’s license may be suspended. Any person deemed to be a high-risk driver is required to file for SR22 insurance. It helps keep other motorists safe on the road. Usually, the state will let you know when you need to file for an SR22. As stated earlier, only an insurance company can file an SR22 with the BMV. If you are required to add an SR22 to your insurance policy, contact your insurer to have them file the form with your state on your behalf. All the state’s financial responsibility requirements must be met before filing for an SR22 certificate with the Ohio Bureau of Motor Vehicles. How Can I File for an SR22 Certificate in Ohio? You will have to go through a licensed insurance provider to file an SR22 form in Ohio. In most cases, the insurance company will be happy to make the filing on your behalf, at a reasonable fee of course. The insurance company will provide an auto insurance policy that meets the minimum auto insurance requirements, and once you pay for it, your SR22 form will be filed. After successfully filing for an SR22, you will receive communication from the BMV stating that you are all set to get back on the road. If you have not received any communication from the BMV within five business days or so, call your insurance provider for confirmation that your SR22 filing is in progress. Do I Need to Pay to File for an SR22 Certificate? Filing for an SR22 certificate costs around $25. In Ohio, drivers have to hold on to the SR22 certificate for not less than three years. During that period, you are required to keep up with the payments after meeting the auto insurance requirements. Failing to make timely payments will result in a coverage lapse. The insurance provider is obligated to inform the BMV of any lapses in payment. The BMV may, in turn, revoke your driver’s license. Once you file for an SR22 certificate successfully, keep making timely payments to avoid such consequences. How Soon Can I File for my SR22 Certificate? In Ohio, you can have your SR22 form filed in a matter of hours, usually 24 hours at most. The exact amount of time it takes to make the filing depends on how fast your insurance provider can do it. Remember that you have to purchase a policy that meets the state’s financial responsibility requirements to file an SR22 form. Once a policy has been purchased, the insurance company will send the bond filing to BMV for processing. The details must reflect at the BMV for your certificate to be processed. Sometimes, obtaining an SR22 certificate can be a time-consuming process, especially if there are communication problems. In Ohio, all high-risk drivers are required to file for an SR22 certificate. Once you purchase insurance and file the SR22 with the Ohio BMV (your insurance provider does the filing on your behalf), the SR22 insurance remains on your record for a predetermined period of time. The SR22 coverage stays on your policy for a minimum of three years. The severity of your violation affects the SR22 coverage period. For instance, if your driver’s license is suspended for four years due to a DUI, you will be required to maintain the SR22 insurance for the same number of years. You have to keep the SR22 coverage active during this period. What If my SR22 Coverage Lapses? Drivers who have their licenses suspended after committing traffic offenses in Ohio are required to file for SR22 certificates. Once you successfully file for an SR22 certificate, you are required to keep it active. You are supposed to keep making timely payments for the period of the suspension to avoid a coverage lapse. 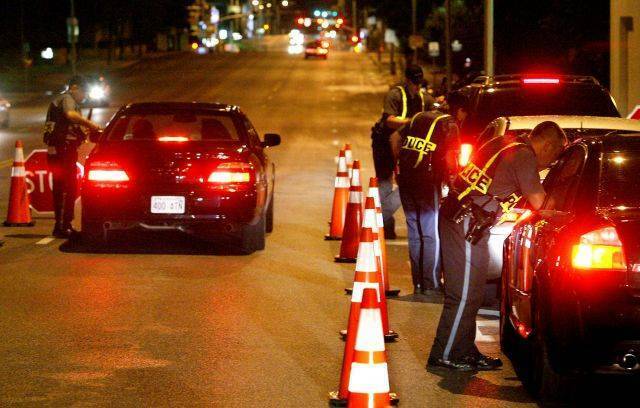 If there are lapses, you risk having your driver’s license revoked or even face jail time. Additionally, if you lose your coverage or fail to renew your insurance, the BMV may decide to reset the clock on your SR22 filing period. That means that you can easily go back to square one after years of faithfully keeping up with your payments. What Happens When the Filing Period Ends? An SR22 certificate is a reinstatement document. You are required to carry SR22 coverage for a predetermined period of time, depending on the severity of your violation. If your driver’s license is suspended for five years, you are required to maintain SR22 coverage for five years. You are not allowed to lapse or end the coverage throughout the period. When your filing period comes to an end, you are free to choose regular auto insurance plans and providers as long as you stay insured. Call your insurance provider and have them contact the BMV to confirm that you have successfully completed your mandate. If you have a non-owner car insurance policy, you may be required to file an SR22 form via a court order even if you don’t have a car. If your driver’s license has been suspended, the SR22 and the car insurance policy can be used as proof that you’ve met the required auto insurance coverage to have your driver’s license reinstated. Don’t let your SR22 coverage lapse as that can have dire consequences. It’s your sole responsibility to keep your SR22 filing in line. Make sure that you pay your premiums on time and renew the policy way before the expiration date. In Ohio, the grace period for policy renewal is 15 days. Keep that in mind when dealing with an SR22 filing. You are free to change your insurance provider during the filing period, but you have to be careful when changing SR22 policies and plans to avoid a coverage lapse. Do you or someone you know need SR22 insurance in Ohio? We can help you out. Just fill a simple form at the top the page to get a quote. Alternatively, you can give us a call (at 888-899-9973 Monday-Friday, 8am – 5pm PST) and speak to one of our agents if you need help finding the most affordable SR22 insurance policies in Ohio.